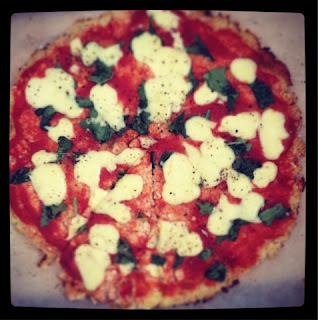 Hey Holly Golightly: Cauliflower Pizza base. Oh Yeah!! Cauliflower Pizza base. Oh Yeah!! This is not my recipe. It is in fact one of those experiments where one tests a somewhat unbeliavable concept. AND just so we are clear, a pizza base made from half head of cauliflower certaintly stretches my culinary imagination. BUT turns out, unlike the time I tried to make chocolate mousse from avocados, the cauliflower pizza base thing is a winner! 1. Chop up and preferably blend your cauliflower into very small chunks (see picture above). 2. Place your cauliflower onto a clean chux or strong paper towel. Cover with towel and squeeze. You will need to do this a few times to soak up as much as the moisture as possible. 3. 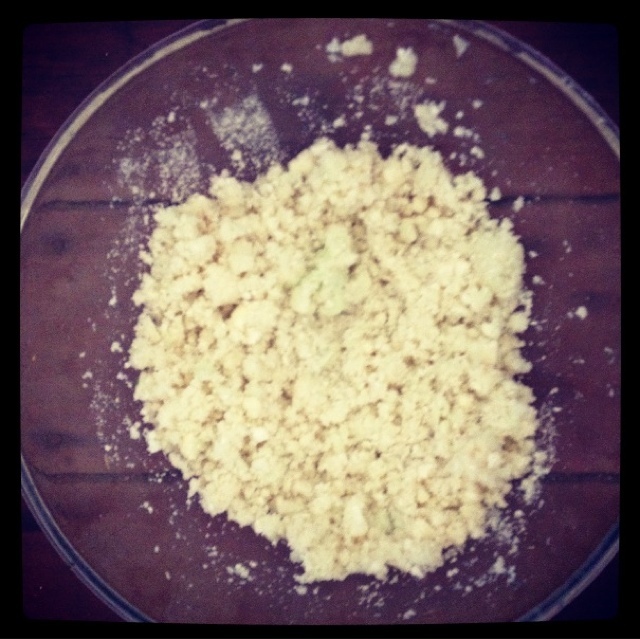 Once your cauliflower is moisture free add it, a beaten egg, the almondmeal and the cheese. Add a few good pinches of salt and some cracked black pepper. Mould the mixute in a dough and place the ball on a sheet of baking paper. Roll out. 4. Cook your pizza base without topping for 12-15 minutes in moderate oven. 5. Once pre-cooked add desired topping and cook for further 10-`15 minutes. Slice and eat - yummy!